Hotel Formule 1 OR Tambo International Airport situated in Johannesburg (Gauteng) offers accommodation in 78 en suite bedrooms. 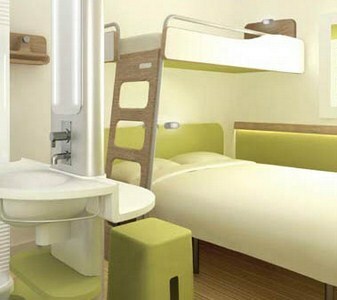 Every room has a double bed, bunk bed, hand basin, air conditioning, heating, desk, TV, shower, and toilet. The hotel has WiFi Internet, a 24-hour reception desk, breakfast room, parking, and disabled-friendly facilities.Breakfast is served daily. Activities and attractions in the area include cycling, golf, fishing, game viewing, horse riding, 4x4 trails, safaris, hiking, Sandton City, Sandton Convention Centre, Fourways Mall, and Hyde Park. for Formule 1 OR Tambo International Airport.